FERC Approves Protection System Maintenance Standard December 23 – FERC issued Order No. 793, approving reliability standard PRC-005-2 (Protection System Maintenance), to supersede four existing reliability standards and six associated definitions. PRC-005-2 combines all maintenance and testing requirements for protection systems into a single reliability standard, sets minimum maintenance activities and maximum maintenance time intervals, and gives responsible entities the option to develop their own, performance-based maintenance intervals. The standard becomes effective Feb. 24, 2014, and affected entities will have until Feb. 24, 2015 to develop a system maintenance program that complies with the standard. FERC Denies NERC Request for Rehearing in SLECA Registration Decision December 19 – FERC denied NERC’s request for rehearing of a July 18, 2013 order in which the Commission granted South Louisiana Electric Cooperative Association’s (SLECA) appeal of its NERC registration as a Distribution Provider (DP) and Load-Serving Entity (LSE). FERC based its decision on the following: (a) Power flows into the SLECA system and not out. (b) SLECA’s “Landry substation is planned and operated as two radial transmission systems, connected with a normally open switch on the secondary side of the two 230-115kV transformers. Landry is configured so that there is no ‘loop’ at the point where SLECA is connected, and only radial feed to SLECA’s facilities.” (c) The high side SLECA 115 kV circuit switchers are intended solely to protect SLECA’s equipment. The only protection devises needed for the reliable operation of the bulk electric system are LA Gen’s circuit switchers (owned and operated by Entergy) on the 230 kV side its transformers. LA Gen’s 230 kV circuit switchers are the devices that isolate the radial facilities within the Landry substation from the bulk electric system. (d) FERC found “no merit to NERC’s assertion that SLECA must be registered as a distribution provider or LSE because it is a user of the Bulk-Power System.” See our August 29, 2013 Reliability Update for additional information. FERC Letter Order Accepts SPP’s Reliability Coordinator Changes December 17 – FERC issued a letter order accepting SPP’s October 18, 2013 proposed tariff revisions to replace NERC as the administrator of the Interchange Distribution Calculator (IDC). The IDC is a software tool to manage interchange transactions during periods of congestion. Historically, NERC managed the IDC, including contracting with its vendor and improving it through working groups. In April 2013 NERC transferred this responsibility to a group of Reliability Coordinators. SPP filed revisions to recognize this substitution, and its proposal was uncontested. City of Holland Appeals FERC Decision to DC Circuit – December 16 – The City of Holland, Michigan has petitioned the DC Circuit to review FERC’s October decision, in which FERC upheld NERC’s registry determination that Holland’s facilities mandated registration by the City as a transmission owner and operator. NERC to Hold CIP v5 Technical Conferences - NERC will hold a pair of technical conferences to discuss modifications to version 5 of the Critical Infrastructure Protection standards. The conferences will address the actions NERC plans to take in response to FERC ‘s final rule on the CIP V5 standards, which directed NERC to modify or remove “identify, assess, and correct” language and to modify security controls for Low Impact assets. The conferences will be in Atlanta on January 21 and in Phoenix on January 23. 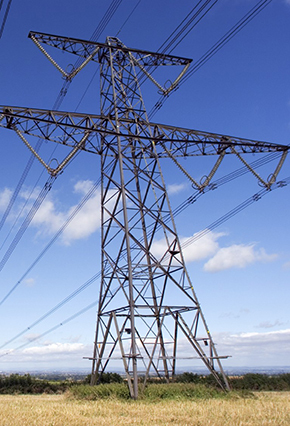 NERC is required to submit new or revised standards due to FERC by February 3, 2015. NERC Asks FERC to Defer Action on Standards December 20 – NERC filed a motion asking FERC to defer action on NERC’s proposed Transmission Operation (TOP) and Interconnection Reliability Operations and Coordination (IRO) standards, until January 1, 2015. NERC’s request responds to a FERC NOPR, in which FERC expressed concern that NERC had removed some critical reliability responsibilities. In its motion, NERC proposes to hold two technical conferences before revising its proposed standards to address FERC’s concerns. NERC Supplements Petition for Approval of PRC-025-1 (Generator Relay Loadability) December 17 – NERC submitted a supplemental filing to its petition for approval of proposed reliability standard PRC-025-1 (Generator Relay Loadability). In the supplemental filing, NERC requested concurrent approval of proposed reliability standard PRC-023-3 (Transmission Relay Loadability) to implement clarifying changes to PRC-023-2 that became necessary during the development of the original petition. NERC Submits Frequency Response Analysis to FERC December 30 – NERC submitted its Annual Analysis of Frequency Response to FERC in an informational filing. NERC Files Peak Reliability Compliance Filing December 20 – NERC made a compliance filing in response to FERC’s December 6, 2013 order concerning the establishment of Peak Reliability, Inc. to assume the WECC Reliability Coordinator (RC) function. NERC Enforcement Filings - December 31 - NERC filed with FERC fifteen Notices of Penalty in individual dockets, as well as a Spreadsheet Notice of Penalty addressing 69 violations of 12 standards. DOE Releases Information on Blocked EIA Website Users December 16 – According to an article in the Wall Street Journal, the Department of Energy (DOE) has indicated that it blocked 2,200 users or IP addresses from accessing data and information on the Energy Information Administration in 2013 for violating the Department’s security protocols or requesting too much data. DOE apparently fears that hackers could obtain information on energy markets before it is officially released to make unfair profits through high-speed energy trades. Another concern is that hackers would use “bots” to overwhelm the system with information requests, thus limiting others’ access to information that might be useful in trading. NERC and WECC File Joint Petition on Regional Transfer Path Standard December 20 - NERC and WECC filed a joint petition seeking FERC approval of a) a regional standard for qualified transfer path unscheduled flow (IRO-006-WECC-2 to replace the existing standard), and b) the WECC regional definition of “relief requirement.” The petitioners assert that the regional standard will mitigate transmission overloads due to unscheduled flow over a path, which WECC has deemed qualified for unscheduled low mitigation. NERC Petitions FERC for Approval of Revisions to SPP Standards Development Manual December 20 – NERC petitioned FERC for approval of a number of changes to SPP’s Standards Development Process Manual. The changes will become effective when approved by FERC. Peak Reliability Website Active January 2014 – The website of Peak Reliability, formerly known as the Western Electricity Coordinating Council Reliability Coordinator, is now operational. The Van Ness Feldman Electric Reliability Update is published by Andrew Art, Malcolm McLellan and Gabe Tabak, with assistance from Christopher Zentz, Thomas Hutton, Ilan Gutherz, and Van Smith. Van Ness Feldman counsels, advises and trains a wide range of clients on electric reliability matters. Please email us for additional information.